Happy Thursday and Happy October! Can I get a little woot woot for fall? I truly love this time of year. 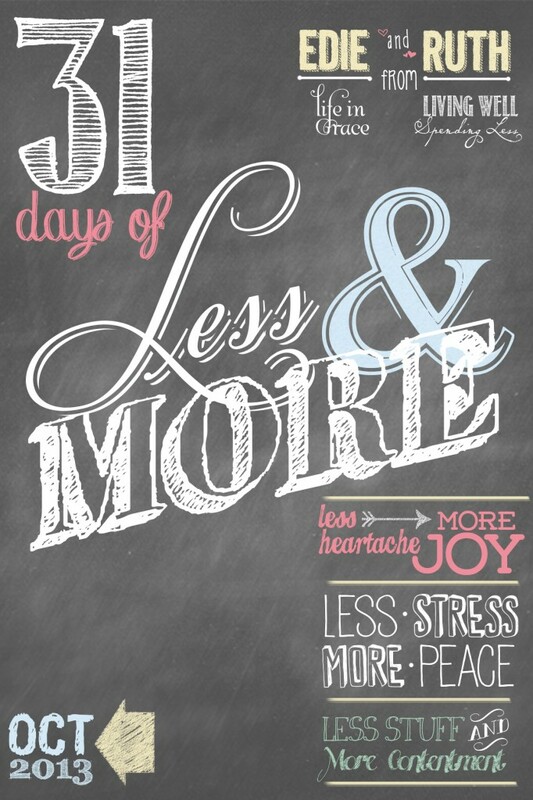 As many of you know, this month I am hosting a series called 31 Days of Less & More along with my friend Edie of Life in Grace. If you haven’t already been following along, I invite you to join us for a month of less heartache but more joy, less stress but more peace, and less stuff but more contentment. Please note that for the month of October the Thrifty Thursday link party will be going live at 8:45am EST instead of 9am. 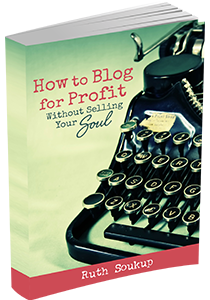 Finally, if this is your first time here I also invite you to check out my new eBook, How to Blog for Profit (Without Selling Your Soul). It is currently a bestseller on Amazon (with over 40 five-star reviews!) and it is an awesome resource if you are interested in building your blog. Woot woot! I am so happy it’s fall! Although it’s still 90 in Texas, but at least it’s not 100! I finished your ebook and left a review on Amazon yesterday. Thank you for writing a book with so many wonderful tips! I’ve only implemented a couple of them so far, but my readership has already started growing. I can’t wait to start trying out even more tips! Thanks for hosting Ruth, have a great day! 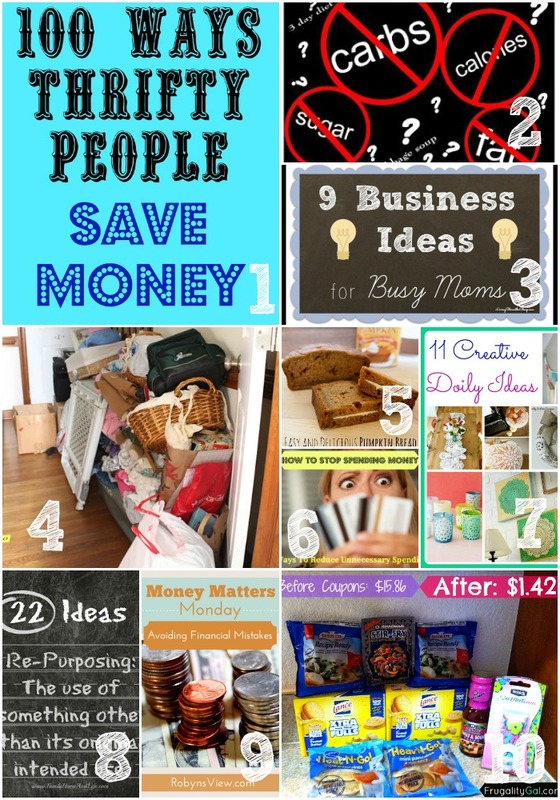 Wow…thanks for featuring “9 Business Ideas for Busy Moms”…and for hosting! I’m excited to see your series – we definitely subscribe to the notion that it doesn’t take stuff to make us happy. Thanks for the weekly fun & inspiration Ruth – hope your Thursday is great! 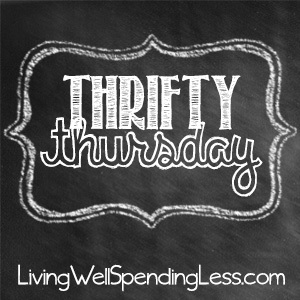 I love Thrifty Thursday — so many great ideas and recipes. Thanks for hosting! Well it is a little embarrassing, but thanks for the feature of my big mess! LOL! I guess people like seeing the reality behind the pretty blog pictures we put up. Thanks so much for hosting! Have a great rest of your week. Thank you for hosting such a fantastic link up. So many mouth watering recipe ideas this week. Thanks so much for the party Ruth! These are in fact enormous ideas in abot blogging. You have tojched some pleasant points here. Any waay keep upp wrinting.